SVIPE is an app by Salomondrin and the whole concept made me sit back and think differently about luxury sales and marketing. The world of technology is always changing and with this comes new ways of marketing, and of course, making money. 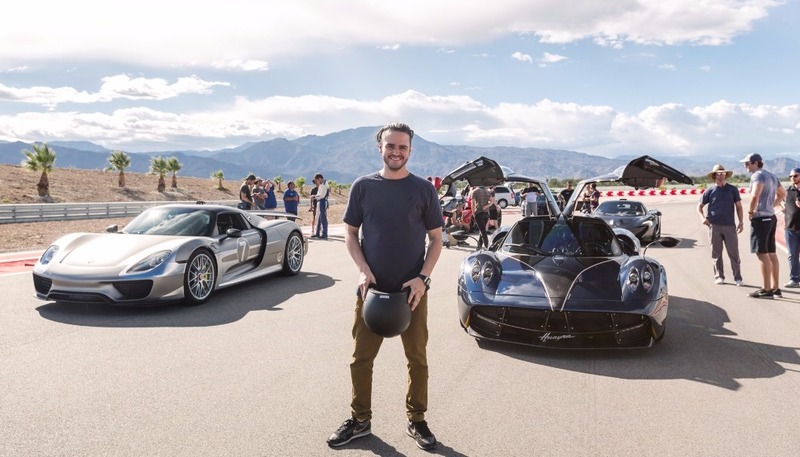 For those of you who are not familiar with him, he’s a brilliant car nut who runs companies, drives amazing cars and makes a lot of entertainment that yours truly is a big fan of. While I mostly watch him, Pedro and Farshad on fun car adventures, I sometimes catch a little tidbit that gives me insight in my luxury marketing. The video below is not their usual show but for the purpose of business and marketing understanding, this is a great watch. You also will get insight into the boys and how they operate. I recommend you watch the whole thing. First of all, SVIPE stands for Salomondrin VIP Experience, something of a running gag for all their comedic mishaps. A lot of the YouTube show focuses around them driving around, doing adventures and lately often interacting with fans of the show. This new app allows you to instantly book a lunch date with Salomondrin in one of his cars around the LA area. Now to most people this is going to sound silly, perhaps even a bit crazy. He has a very tasteful collection of rare cars, some you couldn’t even rent if you wanted. I read a few comments from around the web yesterday and it was a good mix of “that’s so cool” to “what a stupid idea, no one will pay for this”. I will give Alejandro (Salomondrin) credit as he shakes off the haters more easily than most can handle. Putting yourself out there isn’t easy, but when it works it will pay off big time. With that being said, the Salomondrin brand has attracted nearly a couple million social media followers in a short time. I expect he will be able to double those numbers easily by this time next year. If I lived in LA, I would totally buy this for myself just to be apart of the SVIPE. I’m a huge fan so lets put an affluent shopper’s cap on and think about it. They’ve created a unique product only they can sell and there will be people who buy this. What I like about it that it is all quite simple. When you have a following like that anything is possible in this day and age and that’s all I wanted to get across to you today. Alejandro and the boys are living proof of a new paradigm in how you can sell luxury.